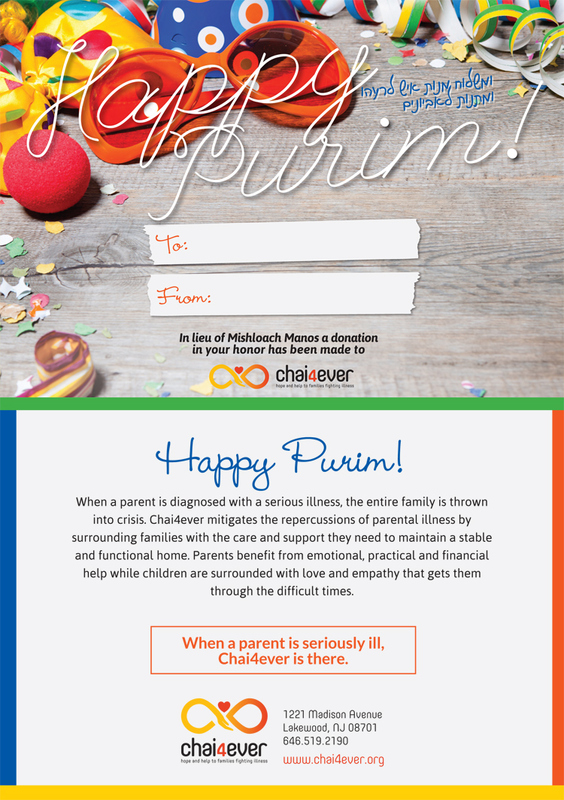 Hundreds of families struggling with serious illness rely on Chai4ever for strength and stability. 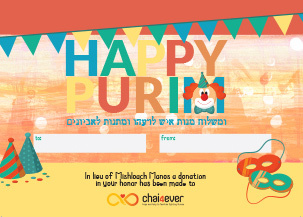 By sending our Purim cards, you make a real difference in people's lives, spreading Purim joy to their homes. 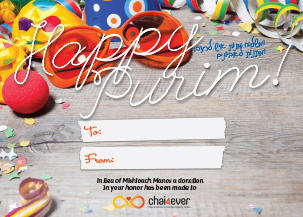 A pack of 10 beautifully designed Chai4ever Purim cards can be purchased for just $20! For added convenience, we'll mail them directly to the people on your list for an additional $3 per card. 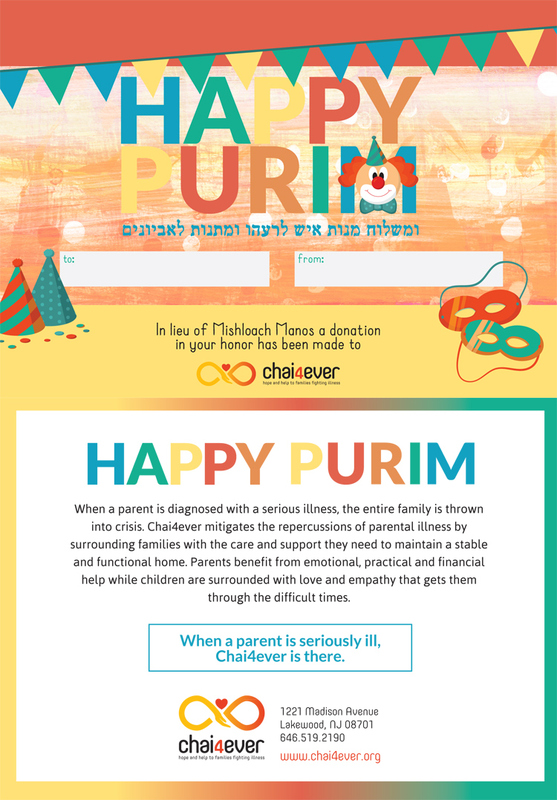 Please enter the recipients name and shipping address information. 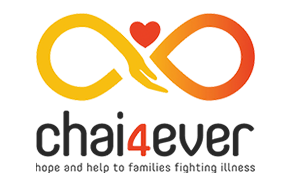 Chai4ever is a non-profit 501c3 organization.